60 x 75mg Veg. Caps. As we age, our own production of these essential enzymes is reduced. The lack of enzymes is recognised as a major factor in chronic disease. 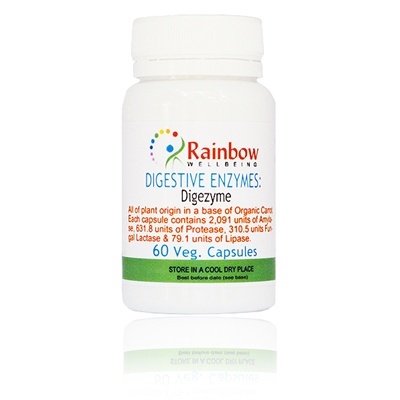 If you eat cooked food - digestive enzymes are definitely required to help maintain health. Digestive enzymes are present in raw food, but destroyed by cooking. In order to digest and absorb food the body then has to do work to produce them. Typically by the time we reach our 40?s our internal glands and organs are beginning to fail to produce enough enzymes. To put it simply, this results in poor health or outright disease, including the most serious ones. 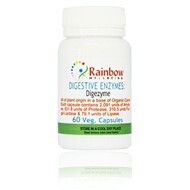 In order to help reverse these diseases and move towards optimum health we need to supplement with digestive enzymes. The only other way to protect ourselves is to eat a 90 to 100% raw diet.